Every year many children are faced with chronic recurrent sore throats and infections. Some parents then find themselves questioning why their child is always sick. If you are concerned about your child’s tonsil or adenoid problems, the best person to help you assess the situation and discuss options for treatment is an Otolaryngologist (ear, nose, and throat specialist). 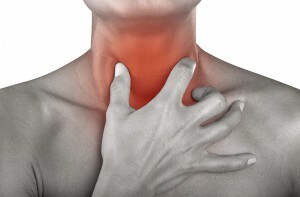 The above are just some of the many indications that are associated with tonsil and adenoid problems. The decision to have surgery is based on a physical examination and a thorough discussion of your case history with your doctor. Each case is individually studied to determine what course of action is necessary to correct the impaired functions. Your otolaryngologist will work with you to find the treatment that best suits your condition.